Finally, Bata Shoes has opened its doors in Bacolod the ground floor of SM City Bacolod. Bata Shoes Bacolod is going to be the hub of pragmatic yet stylish people who like classic bags and footwear. Bata lifestyle footwear is now in Bacolod. 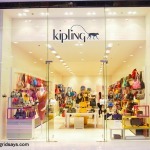 Located at the ground floor, SM City Bacolod north wing. 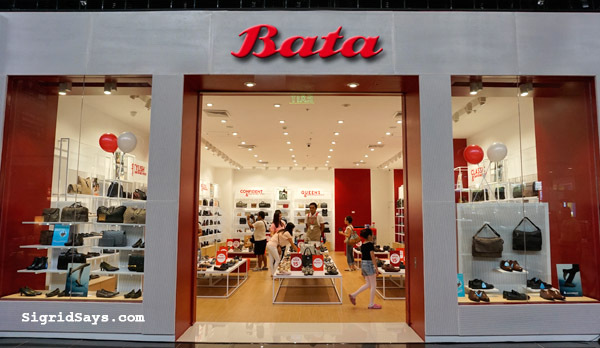 Bata Shoes Bacolod is one of the many franchised branches of Bata footwear from Lausanne, Switzerland. 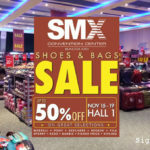 They recently held their grand opening, changing the way Bacolodnons view their shoes and bags. The Bata store at SM City Bacolod. Upon entering the wide, well-lighted Bacolod store, you get a liberating feeling of being able to afford most things inside. Their bags and footwear are of good quality, with classic and elegant designs, but with price tags that will not snag your wallets. 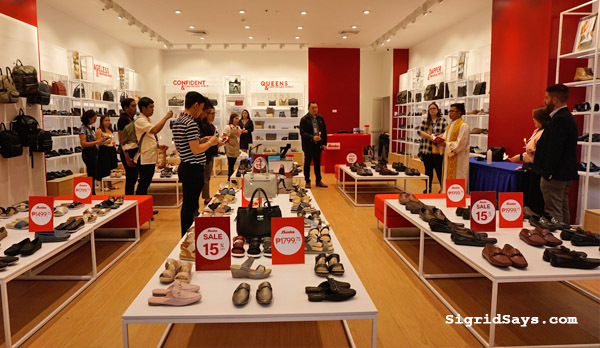 The spacious store of Bata Shoes Bacolod. Taken during the blessing of the store on August 16, 2018. Moreover, it seems that they carry only solid, neutral, and muted colors. No screaming neons here, nope. So they are not only functional but speaks of timeless style. That’s important for a mommy on a budget like me. A collection of comfortable doll shoes by Bata. They are sooo comfy! Truth be told, I am not being maarte, but I have finicky feet. It’s physiological. My soles easily get injured. The skin behind my heels and even my small toes easily get blisters. Add to that my body structure, which is top heavy carried by small feet. The need to lose weight is very real. That is the reason why I am very careful in choosing my footwear. They should be stylish, durable, and also very, very comfortable. However, other people’s definition of comfort is different than mine. “Comfortable shoes” means that I should be able to walk in them for many hours without getting blisters and soles that feel like wood. Usually, those that can give me my requirements are expensive brands. Ugh. Bata has been making shoes since 1894. 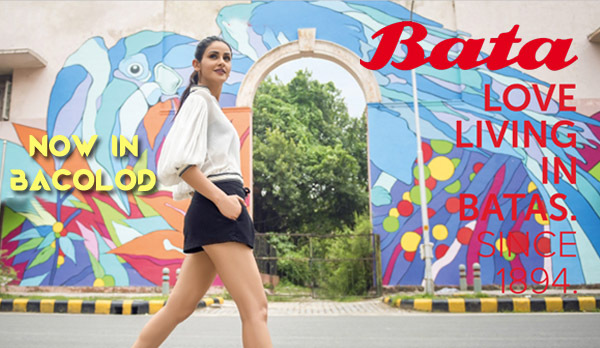 Around the world, the Bata brand is known for its well-made and well-priced dress and casual footwear. Furthermore, the company is devoted to designing, producing, and providing their customers with the best in fashion footwear for the whole family. I think I have a new favorite shoe store! Loafers for ladies at Bata Shoes Bacolod. So our whole family attending the grand opening of Bata Shoes Bacolod, because again, we don’t have a babysitter. And we also had to bring the eldest to ballet class afterwards. Fashionable jewelled shoes for young girls. 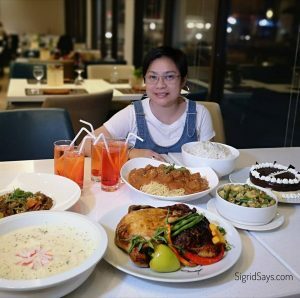 Surprisingly, we are able to shop for the three of us–hubby, our eldest Dindin, and myself. There was really nothing that could fit the little one at this time. But I was surprised that Dindin, now 9 years old, can already fit a size 5. Waaaa She is growing up so fast. Mommies would really like these comfy slip-ons! We also got a pair of strappy sandals for my mother, as it’s her birthday soon. It’s light and durable, and perfect for an active lifestyle. 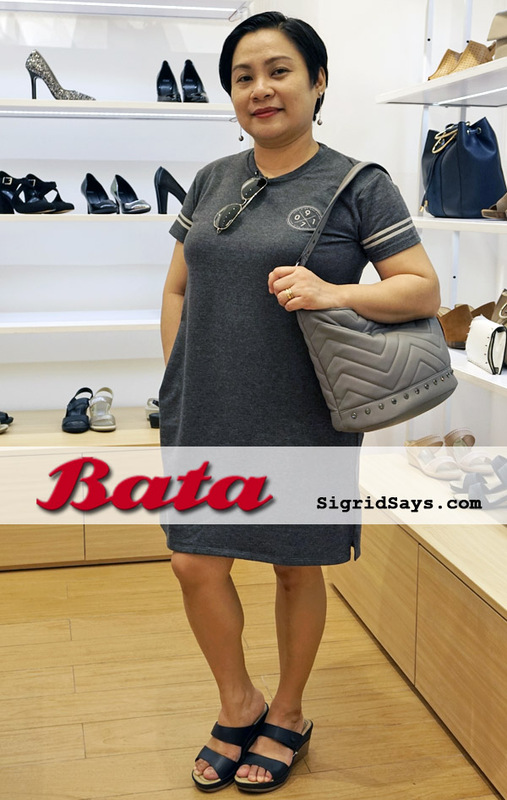 Modelling a pair of dark gray heeled slip-ons and gray duffel bag by Bata. Love em both! Bata Shoes Bacolod answers my top four footwear requirements: classic styling, durability, comfort, and affordable price. That is why I am adding this to my list of favorite shoe brands. 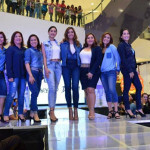 Meanwhile, the Bacolod bloggers and influencers had some fun in the grand opening. We met the Bata Country Manager Rabi Hasnabi who gamely posed for photos with us. 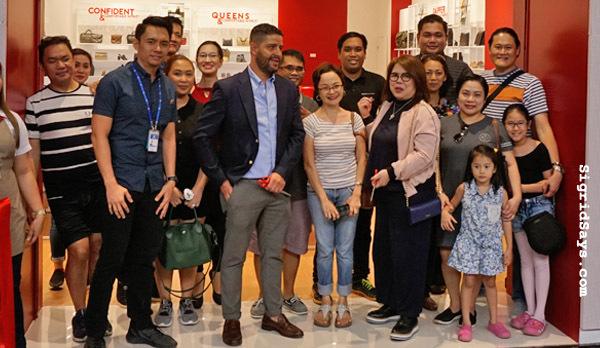 Bacolod bloggers and influencers with Bata Country Manager Rabi Hasnabi and SM City Bacolod Mall Manager George Jardiolin. I love the classic flats they have at Bata Shoes. 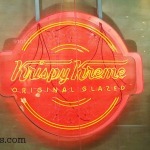 We don’t have any franchises in the states, but I would like to visit one of these stores. The kid’s shoes are incredibly cute. I love that they are fashionable and they look like they are comfortable and made in high-quality. Bata is everywhere in the world. Their shoes are very comfortable. Even I use bata. They are good. Awesome! This is the first time I tried Bata shoes actually. And I fell in love. <3 It's my new favorite brand of footwear. Last year a friend gave my daughter a shoe made by Bata. I must tell you their product is unique and comfortable. I already fell in love with Bata shoes. That is why I am also getting a couple of pairs soon for my family. I have never heard of the Bata shoe store before but it looks awesome! A good pair of flats is not easy to find but these look like something to try out! Ooh I know what brand I need to check out! I work as a cleaner so constantly on my feet and trying to find supportive and comfortable shoes is so hard!! Bata shoes are pretty good! 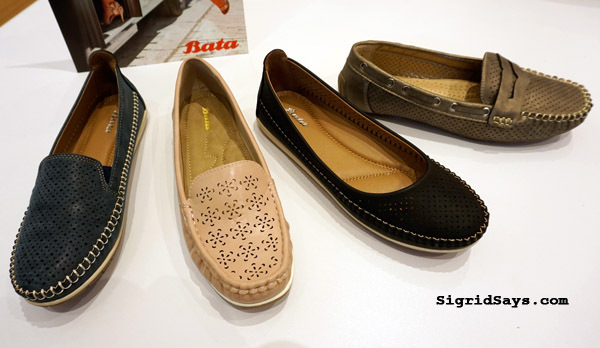 Such a cute selection of Bata shoes. I love ones that are both functional and look nice. Being comfortable and cute is so key for me! When speaking about a brand which has survived for many decades, despite so many other brands that come and go and keep delivering a quality footwear line, I think Bata is the one. Bata is the only shoe brand I wore when I was a kid. They always have the best collection. I also love them! This is the first time I heard about this brand of footwear. The Bata loafers are worth checking out and it seems it is durable and of good quality. Is there a branch of Bata shoes here in Alabang? Comfy is the mantra whenever I go shopping for shoes; no wonder the Bata outlet is always my favorite. And your slip-ons look just that! They look perfect on you!